Get the WORD on the go. Get more messages in a single unit. For more information on how to get copies, please send a mail to; [email protected] OR call: +2348173381799. Also available in Christ Embassy Bookshops around the world. 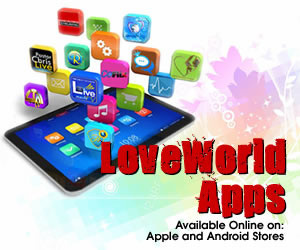 Follow the Loveworld Audiovisuals Super User Account on Kingschat @LWAV.